WTTW, Chicago's premier public television station, will broadcast a year-long series of Kartemquin's award-winning films in honor of our 50th anniversary. The monthly series will feature films from each decade of Kartemquin’s history, including the classic Hoop Dreams (1994), which will air in June 2016, to coincide with a Kartemquin “Milestones” gala celebration at the Chicago Cultural Center and Harris Theater on June 24, and an art exhibition running May-August at Expo 72. Other films in the series will be the Emmy award-winning The Trials of Muhammad Ali (2013), about how the boxing legend risked his fame and fortune to follow his faith and conscience in fighting the US government; the broadcast premiere of Almost There (2015), about two filmmakers’ complicated relationship with a reclusive outsider artist; and two 1974 classics Now We Live on Clifton and Winnie Wright, Age 11, which probe issues of gentrification, race, and poverty from a child’s perspective. The series will also be supported by free public screenings with filmmakers and subjects present throughout 2016, starting on March 12 at the Chicago Cultural Center. 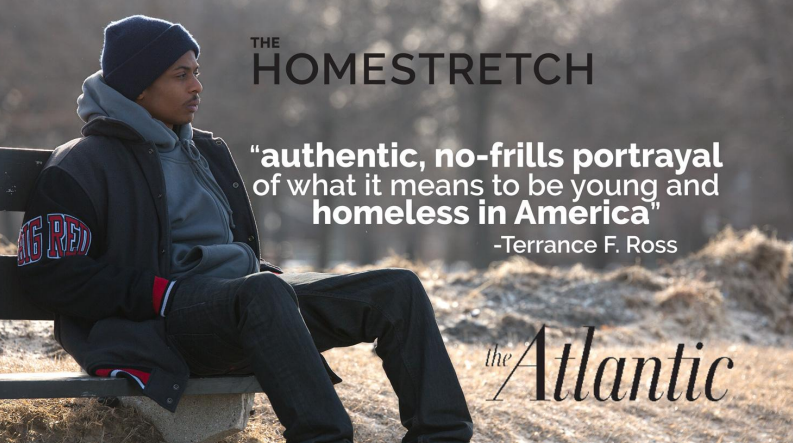 The first broadcast is The Homestretch (2014) on Thursday, January 21 at 10pm on WTTW11. Three smart, resilient teenagers — Roque, Kasey, and Anthony — challenge stereotypes of homelessness as they work to complete their education while coping with the trauma of being alone and abandoned at an early age. Through haunting images, intimate scenes, and first-person narratives, these teens take us on their journeys of struggle and triumph. As their stories unfold, the film explores their plights within the larger issues of poverty, race, juvenile justice, immigration, foster care, and LGBTQ rights. Ahead of the broadcast, The Homestretch directors Anne de Mare and Kirsten Kelly have released a summary of the film’s impact since it world premiered at Hot Docs in April 2014. The film has screened over 350 times nationally since then, including 125 times in Chicago, and in front of all the major government agencies addressing youth homeless, winning awards from The National Runaway Safeline, The Night Ministry, and The National Institute of Health Care Management for the awareness and action it has brought to the issue. March 24, 9pm - Now We Live on Clifton (1974) and Winnie Wright, Age 11 (1974), plus free screening March 12, 2pm at Chicago Cultural Center with filmmakers & subjects, and plus The Homestretch live screening (details TBA). Other highlights of Kartemquin’s 50th anniversary year include several retrospectives and screenings in Chicago and nationwide; an art exhibit; a book; workshops, panels, and master classes; and online streaming of the organization’s entire catalog of award-winning documentaries via http://watch.kartemquin.com. The full calendar, which will be updated throughout the year as new events and partners are added, is available at www.kartemquin.com/KTQ50. 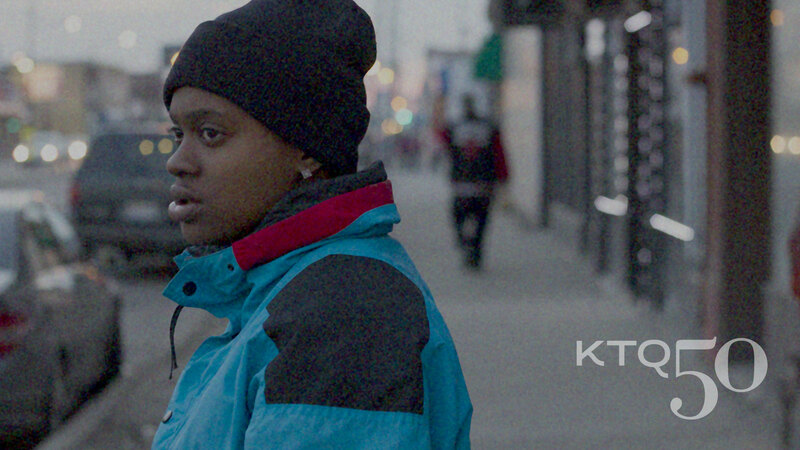 Join the conversation on Twitter at @Kartemquin or by using #KTQ50. A revered resource on issues of ethics and storytelling, Kartemquin is internationally recognized for crafting quality documentaries backed by comprehensive audience engagement, and for its innovative programs and advocacy designed to elevate the documentary community. The organization has won every major critical and journalistic prize, including multiple Emmy, Peabody, duPont-Columbia and Robert F. Kennedy journalism awards, Independent Spirit, IDA, PGA and DGA awards, and an Oscar nomination. WTTW is a premier public media organization committed to creating and presenting unique television and digital media content across four distinct television channels – WTTW11, WTTW Prime, the Spanish-language channel WTTW Vme, and WTTW Create/WTTW WORLD, and on wttw.com. Recognized for award-winning local and national productions such as Chicago Tonight, Check, Please!, and MEXICO – One Plate at a Time, WTTW presents the very best in public affairs, arts and culture, nature and science, history and documentary, and children’s programming to 2 million weekly viewers across a four state area. Visitors to wttw.com can connect with others in the community and access a full library of local and national video content for kids and adults, interactive features, event and membership opportunities, and robust microsites dedicated to WTTW and PBS series and specials. Connect with WTTW on Facebook, Twitter, and YouTube.